Daffodil Design - Calgary Design and Lifestyle Blog: things i love saturday. i love our new customized labels from the penny paper co. they're tucked into my mini mailing station along with a stock supply of stamps, envelopes, and stickers. if you haven't yet visited, the penny paper co. has an adorable collection of customizable art prints, birth announcements, stationary, and holiday cards. my fave new category is their accessories. i think i'll be ordering a set of white striped bitty bags this weekend. who knows what i'll do with them but they're certainly cute! is a dollhouse on your little one's Christmas list this year? check out this awesome dollhouse created from an inexpensive IKEA Expedit four-cube shelf. the perfect size for dollhouse furniture or barbies. how much fun would it be to customize each room with wallpapers and floor coverings? i'm anxiously awaiting my first loose button luxe box due to arrive this week - the Canadian version of Birchbox. Luxe Box is a monthly subscription that delivers 4-5 adorably packaged deluxe sized beauty samples to your doorstep hand-picked by their beauty experts based on your profile. i treated myself to a 3 month subscription for my birthday just for fun! Sign up here! 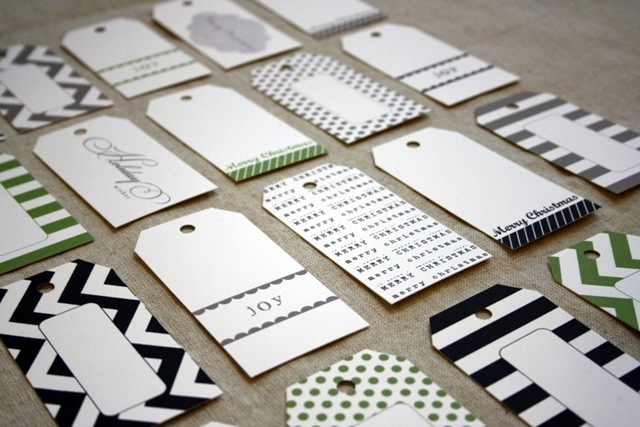 I like the idea of collecting printable holiday tags.